The collection includes 10 graphics, 10 transparent animated character videos (MOV) and one background. 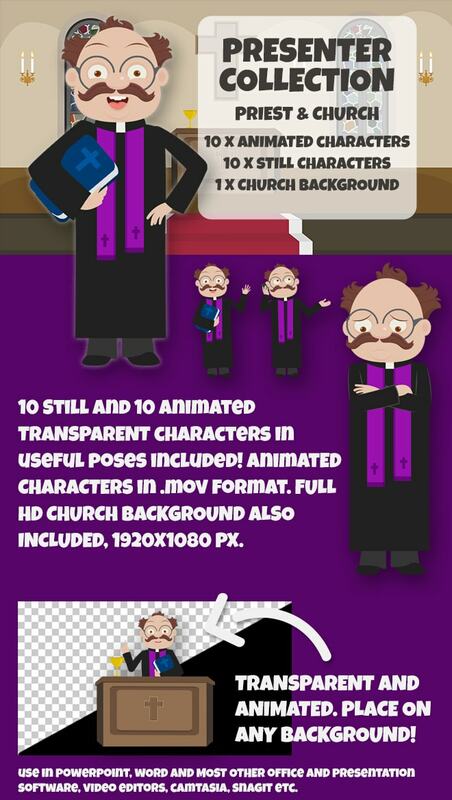 The included animated/still character shows a priest in various positions, for example: saying hello, talking on mobile, frustrated, surprised, demonstrating etc. Check out the overview video and image below for more details on contents.